Due to the reduced injury to the area treated it is leads to a speedier recovery and causes less bruising, swelling, and discomfort, and hence leading to more rapid recovery. Power spec: AC220V/50Hz, max. 450W (AC110V can be customized). 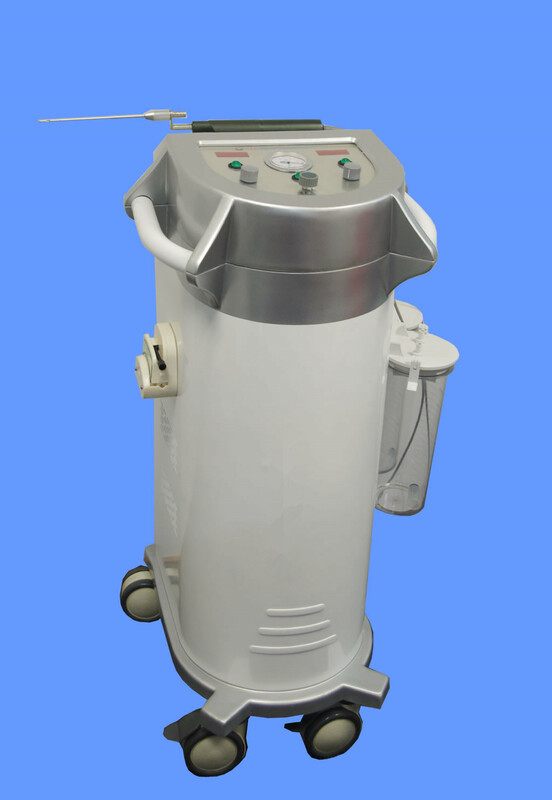 The Areton Liposuctor is a new generation power sssistedlipusuction system, which integrates high speed vibrating power assisted liposuction function. Using this device it is possible to implement a vibroliposuction surgery without depending on other devices. This design enhances the operational efficiency of the entire procedure, therefore the operator will experience less fatigue during power liposuction with easier penetration and adipose tissue removal. The embedded micro computer calculates and provides precise to and fro movement. One way oil free vacuum pump with excellent and quick pressure boosting and no couter current when the engine is stopping. With portable cool air innner circulation frequncy modulation can be easily connected to any common negative pressure machines and fat absorbers. Hard parts frosted system are both suitable for milling bone structures and absorbing its fragments and powders as well as keeing the area clean. This feature greatly reduces the operator’s working load and saves operation time. Adjustable peristaltic water-injection system can not only be used as swelling anaesthetic injection, but also as the water-resource of hard parts frosted-absorbing system, with simple and convenient operation. • No heat generation during operation, no radiation and scald. • Handle-made choice to crack emulsified lipocytes, which can effectively protect skin nerves and blood vessels. • High resonant frequency and high-speed of fat absorbing with high-efficiency, as well as convenient operation and labor-saving. • Well-distributed fat-absorbing process, flat operation positions, very light pains and quick recovery.